New Orleans epitomizes extravagance. 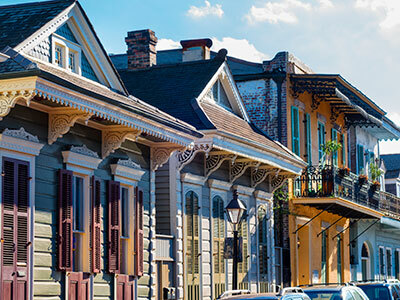 Delicious food (and plenty of it); jazz in clubs, concert halls, and on street corners; some of the most ornate architecture in North America; and Mardi Gras, of course, which is in a class all its own. While it may be an extravagant city, not every New Orleans memory you make has to have a hefty price tag. 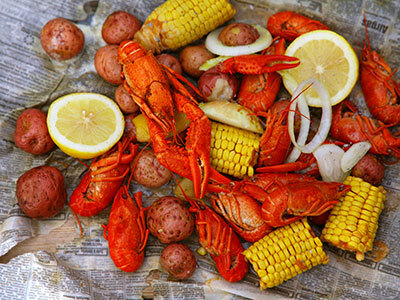 Here’s a guide to 10 of the best sights, sounds and tastes of Nola - on a budget. 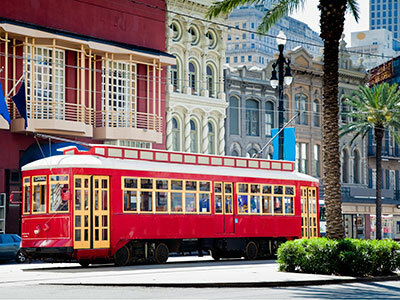 The French Quarter - See the best of the best in this unique city. Find free walking tours online or pick one up from the National Park Service at 419 Decatur Street. The Garden District - A treasure trove for photographers and history or architecture buffs. This is the home of celebrities and the location of Lafayette cemetery (www.saveourcemeteries.org). There are free walking tours available online for this as well, or check out www.freetoursbyfoot.com for lower-cost biking and bus tours. Going on foot? It’s less than $2 to get there via open-air tram from Canal Street. Sydney and Walda Besthoff Sculpture Garden (1 Collins Diboll Circle, www.noma.org) - A tram ride up Canal Street takes you to this free sculpture garden in City Park. If you’re travelling with kids, this is a great chance to let them burn some energy while you enjoy the art. Frenchmen Art Market (619 Frenchmen Street, www.frenchmenartmarket.com) - Five nights a week, it’s free to stroll through this intimate, open-air market. Chat with the artists while you enjoy the atmosphere of Frenchmen Street, famous for its jazz clubs. Be careful when walking in New Orleans; watch your wallet or purse, and stay with others. While the location may be on a tour, it isn’t necessarily safe to be there on your own, before or after dark. Preservation Hall (726 St. Peters Street, www.preservationhall.com) - Standing room tickets are only $15 to $20 at this New Orleans institution. It’s a great price for the calibre of musicians you’ll see here. Make sure you get your tickets in advance, online. Musical Legends Park (311 Bourbon Street, www.neworleansmusicallegends.com) - This free park is open daily with live music all day long, finishing with Nola’s own Steamboat Willie. Grab a table under the stars, sip a coffee or cocktail from Café Beignet, and soak up the atmosphere. Claustrophobic? Venues like Preservation Hall and many clubs are dark and crowded, sometimes with low ceilings. If you need more room, Musical Legends Park is a great venue for you. The Grill (536/540 Chartres Street) - Centrally located in the French Quarter, The Grill offers diner-style comfort food in a cool retro setting. The prices are great and the experience is worth much more than the price of your meal. Stop by for a quick lunch, dinner or late-night meal at reasonable prices – a rare treat in this expensive city. Café Conti (830 Conti Street, www.princecontihotel.com) - Skip the Starbucks and stop by Café Conti. Pick from a wide range of Creole/French breakfast plates, including mouth-watering daily specials in a quaint setting. Café du Monde (800 Decatur Street, www.cafedumonde.com) - A trip to New Orleans wouldn’t be complete without coffee and beignets at Café du Monde. The lineup may be long, but it’s worth waiting for a table to enjoy beignets while they’re fresh and hot. 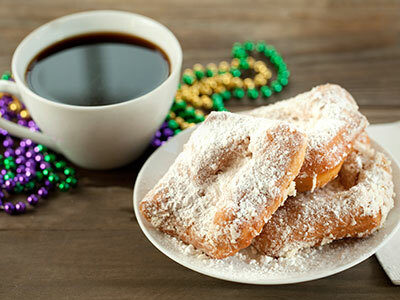 Two coffees and beignets to share is a perfect snack, since carbs don’t count while you’re on holiday. Central Grocery (923 Decatur Street) - A sandwich connoisseur (he still dreams of a sandwich he ate in Manchester, England in 1997) recommends the muffuletta from Central Grocery. It’s $20, which is a lot for a sandwich, but it easily feeds two, three or four people. While they’re not free, these restaurants are some of the least expensive in the French Quarter. They’re all family-friendly too! Whether you’re a foodie, a history, culture or architecture aficionado, or a music buff, you can still experience some of the best New Orleans has to offer, even if you’re on a budget.